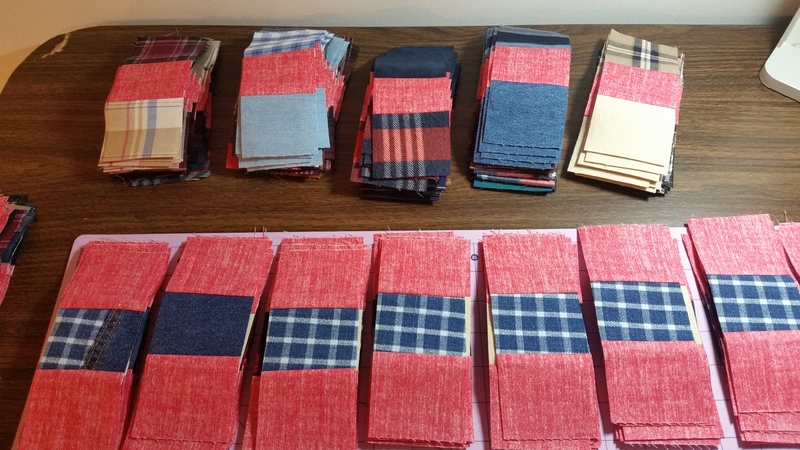 What a privilege it is to make someone a memory quilt. 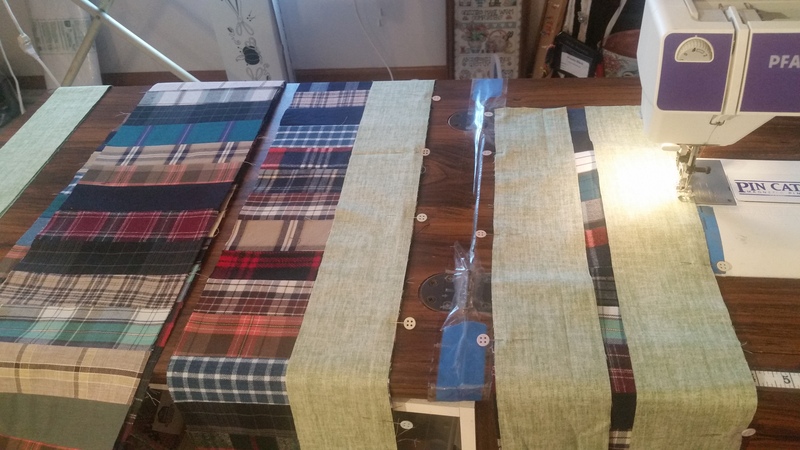 The loss of a loved one is a traumatic event, but then to turn over that loved ones special clothing to a quilter who will cut them into pieces, can also pull at your heartstrings. I understand, I know, I’ve been there, too. 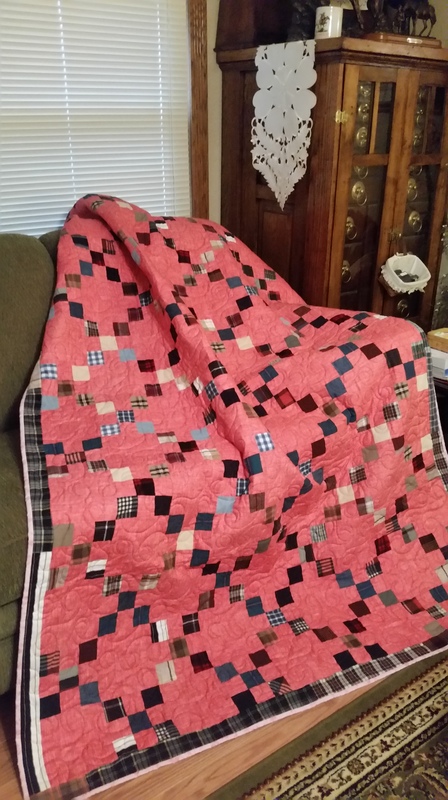 However, there is good news – when that finished memory quilt comes back to you, you just want to hug it like that loved one is right there with you. 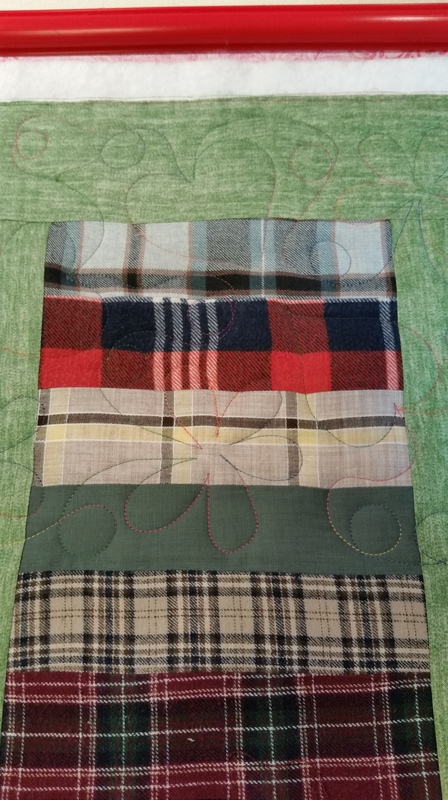 Here are three memory quilts made from one man’s favorite shirts, one for his wife and one for each of their two adult daughters. So, can you tell he was a country man? 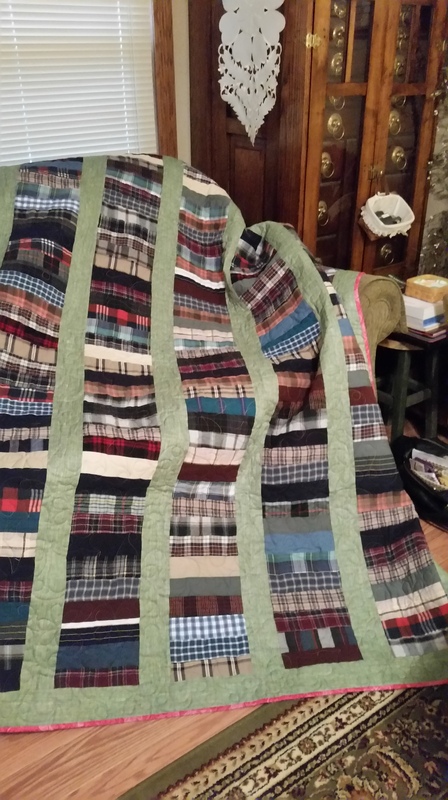 Although I really enjoyed making these quilts, I’d rather not see another plaid shirt for a few months! 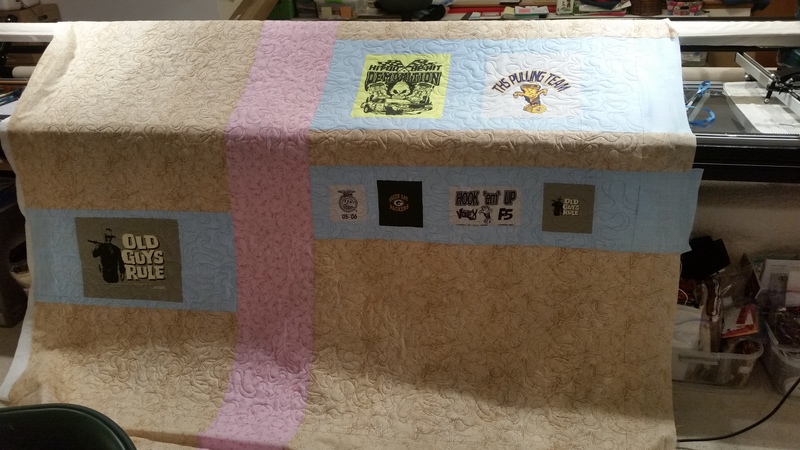 There were also a couple of his favorite t-shirts to be included, but they wouldn’t fit into the front design of the quilts, so I put them on the back of the wife’s quilt. 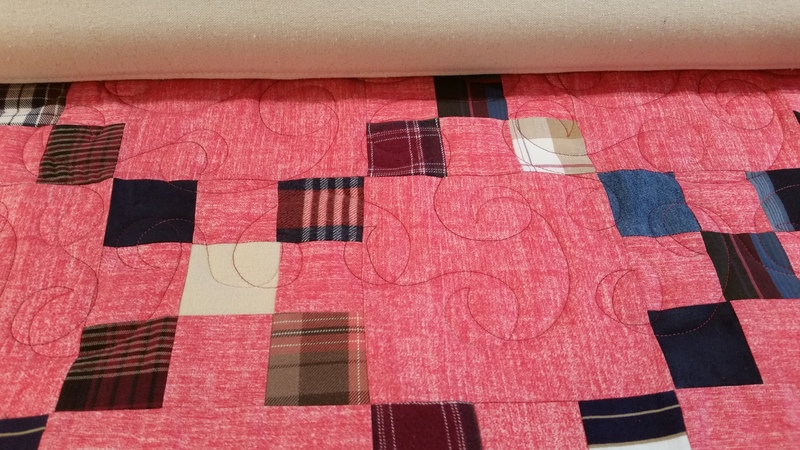 I also included some fabric from the girl’s quilts on the back so all three quilts tie together. I just gotta say – I love that John Wayne t-shirt! 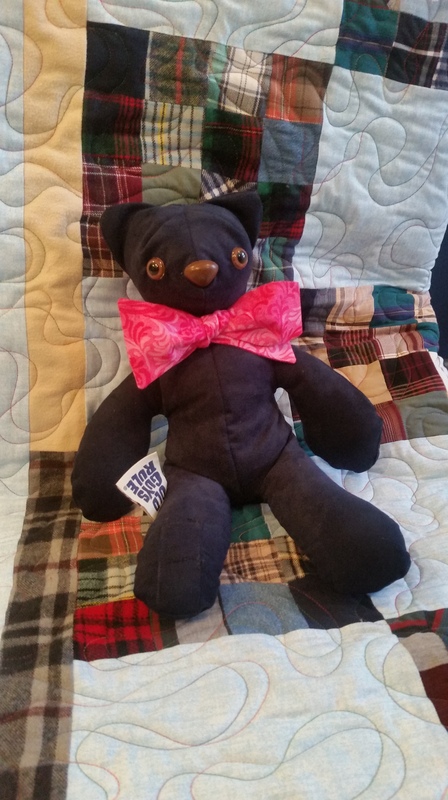 This teddy bear is so soft! It’s made from a chamois shirt. It’s not overly stuffed so you can really cuddle with it. See that tag sewn into the leg seam? It’s from that John Wayne t-shirt. It says ‘Old Guys Rule.’ How fun is that? Oh, and I want to mention, that is a real bow tie! 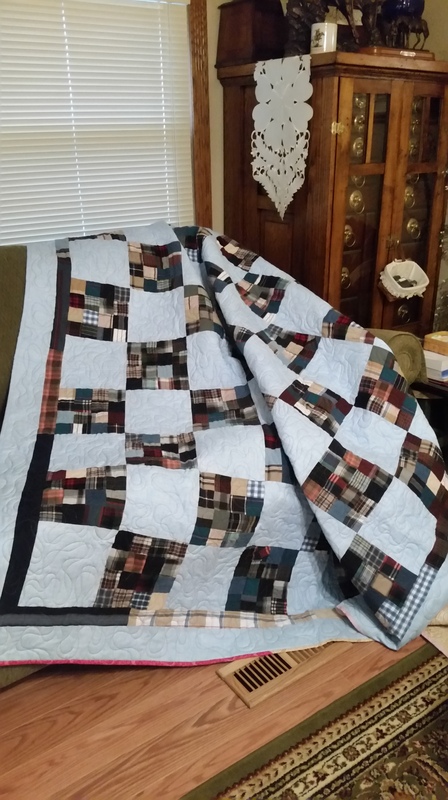 It’s made from some of the fabric that’s used in the quilts. This is a small zippered bag. 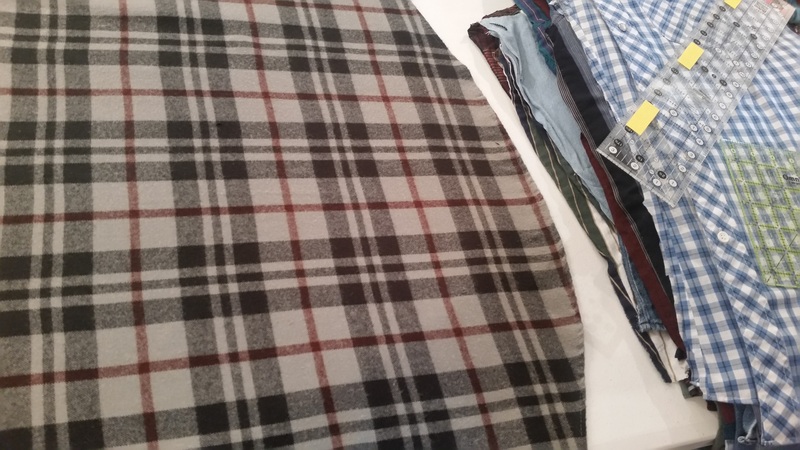 It’s made from one of the shirts. 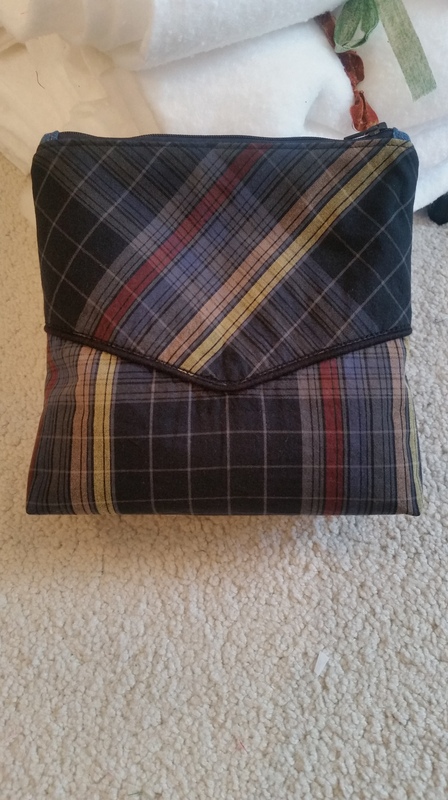 One side of the bag has a shirt front pocket and the back of the bag has part of the back yoke. 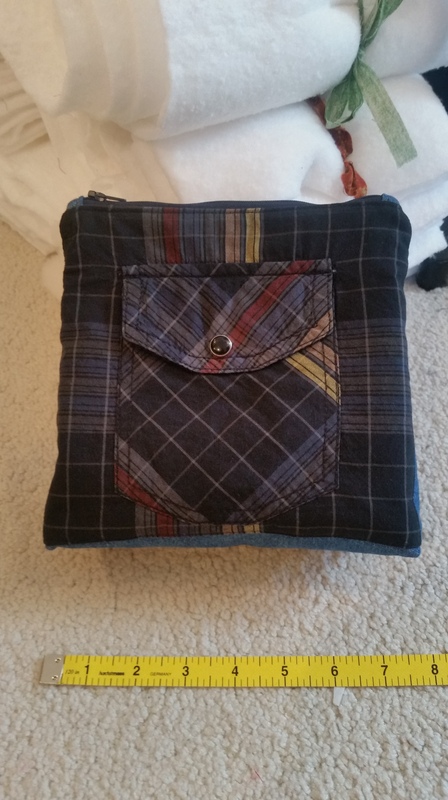 The bag has a square bottom so it will hold plenty of stuff. 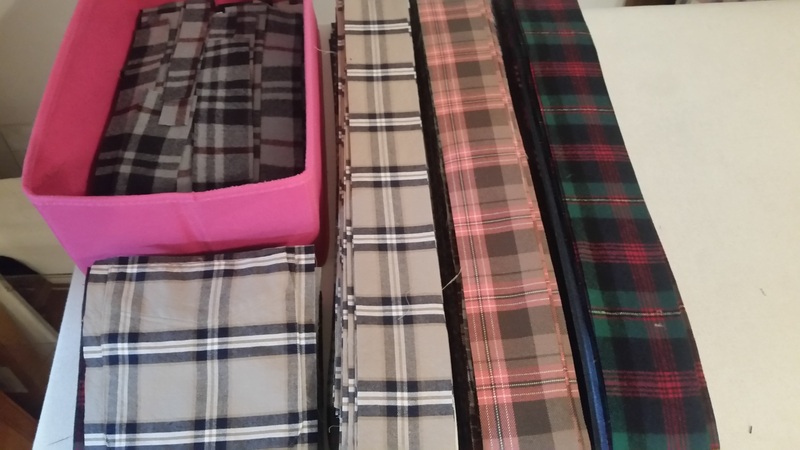 As everyone knows, a girl can never have too many bags. 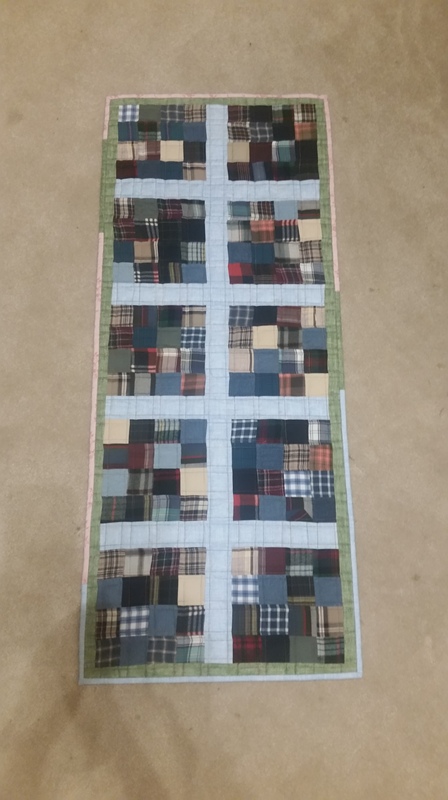 This is a table or dresser runner made from leftover Sweet Sixteen blocks. 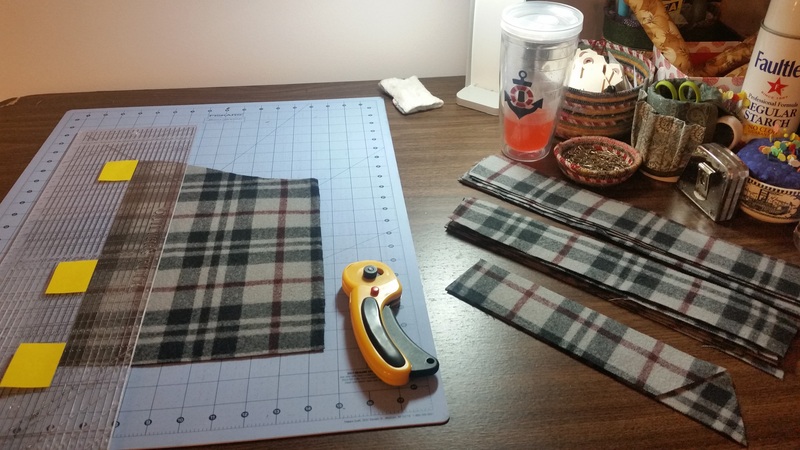 I just sewed too many. 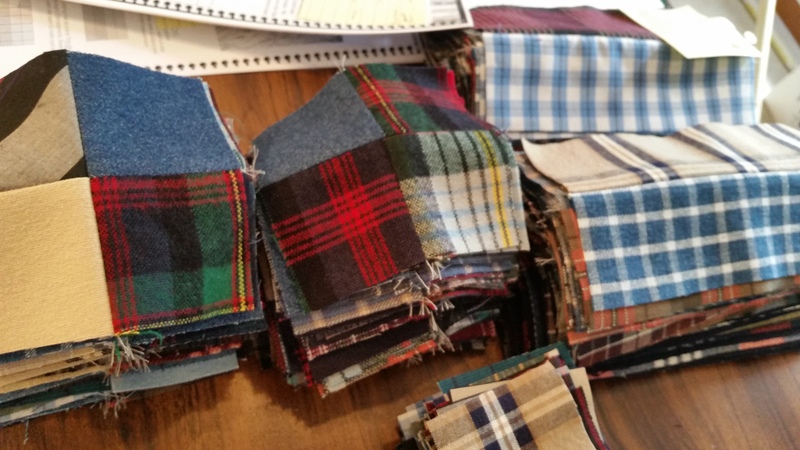 Probably lost count of the number of little plaid squares and big plaid squares. Silly me! 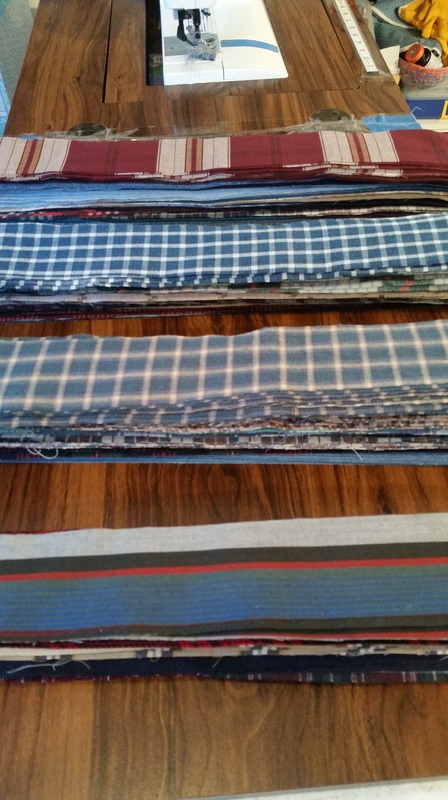 The table runner has also been washed and dried so it has that ‘old quilt’ look to it. I just love the way it looks after it’s been washed and it’s so soft! 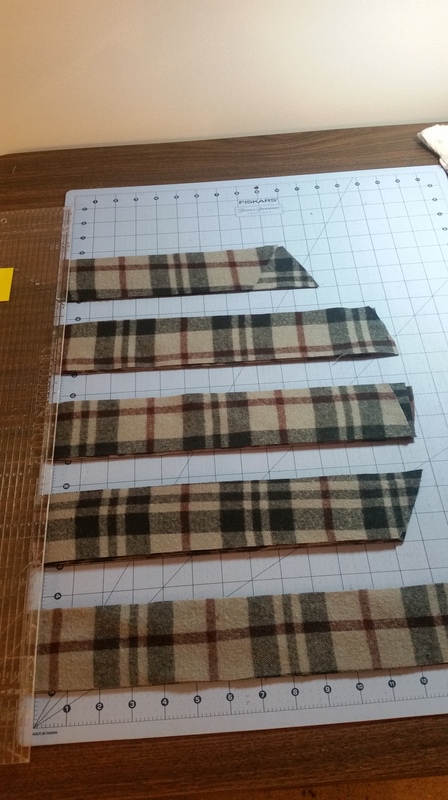 again … more strips, it never ends! 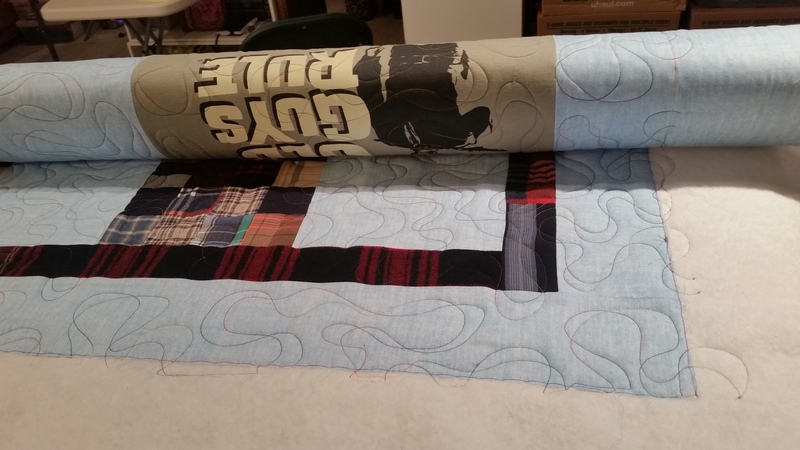 So there you have it, the making of three memory quilts. 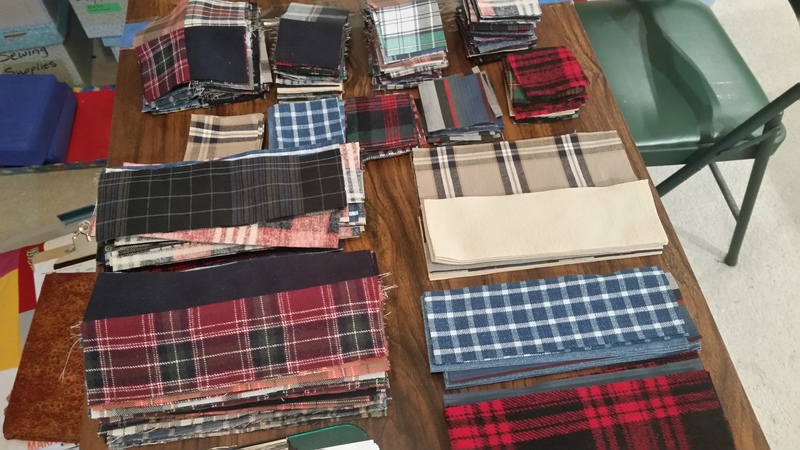 Please, no more plaid for a while, but this was truly my pleasure. Oh, I should mention, the daughters will receive theirs as Christmas presents. What a memorable gift this will be!